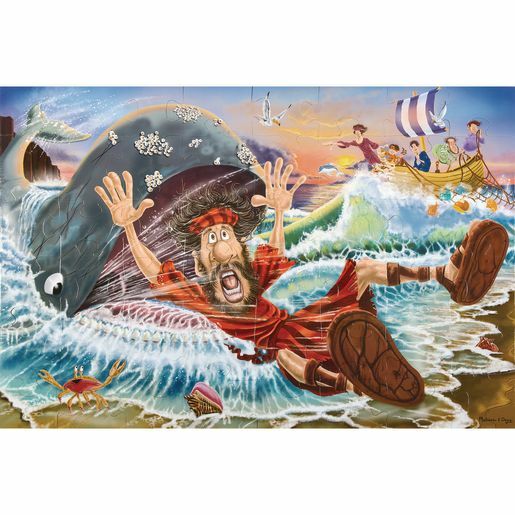 This richly illustrated floor puzzle is an engaging way to introduce the story of Jonah and how he tried to hide from God in a whale. This classic Bible-themed puzzle has 48 large pieces. Pieces are easy to clean which keeps puzzle looking new. Finished puzzle is 2'L x 3'W.